Raz Yosef is an Associate Professor of Cinema Studies and Head of the Steve Tisch School of Film and Television, Tel Aviv University, Israel. He received his B.A. (1996) and his M.A. (1998) in film and literary studies from Tel Aviv University, and his Ph.D. (2001) in cinema studies from NYU. Yosef has an extensive teaching experience both in Israel and abroad. In addition to teaching courses at Tel Aviv University, The Hebrew University of Jerusalem, and Sapir Academic College, he also taught film courses at NYU (2001), and was a visiting professor at the University of Michigan (2002 and 2006), Paideia – The European Institute for Jewish Studies in Stockholm, Sweden (2009), and Columbia University (2012 and 2014). 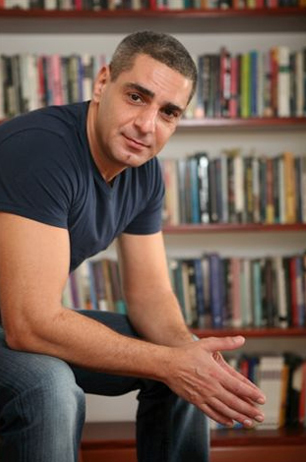 Yosef is the author of Beyond Flesh: Queer Masculinities and Nationalism in Israeli Cinema (Rutgers University Press, 2004), To Know a Man: Masculinity, Sexuality and Ethnicity in Israeli Cinema (Hakibbutz Hameuchad, 2010, in Hebrew), The Politics of Loss and Trauma in Contemporary Israeli Cinema (Routledge, 2011), and the co-editor of Just Images: Ethics and the Cinematic (Cambridge Scholars Publishing, 2011) and Deeper than Oblivion: Trauma and Memory in Israeli Cinema (Bloomsbury Academic, 2013). His work on gender and sexuality, race and ethnicity, trauma and nationalism in Israeli visual culture has appeared in GLQ, Third Text, Framework, Shofar, Journal of Modern Jewish Studies, Camera Obscura, and Cinema Journal. Yosef is the recipient of the fellowship of The Israel Science Foundation (2010-2013). His areas of research are: film theory, queer theory, feminist film theory, postcolonial theory and third world cinemas, film melodrama, Israeli cinema and national culture, trauma and memory studies.